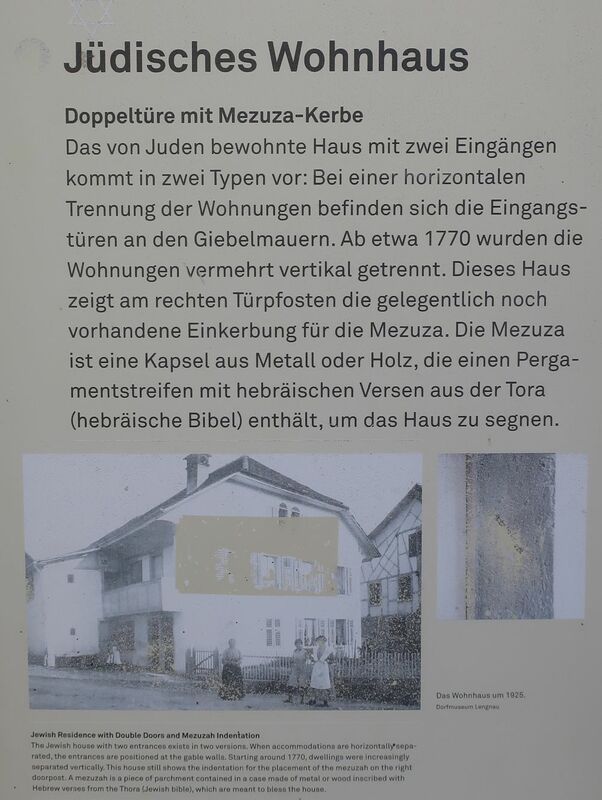 It was forbidden for Christians and Jews to co-habitate, so the problem was carefully avoided by splitting the house into two areas, each with its own door. 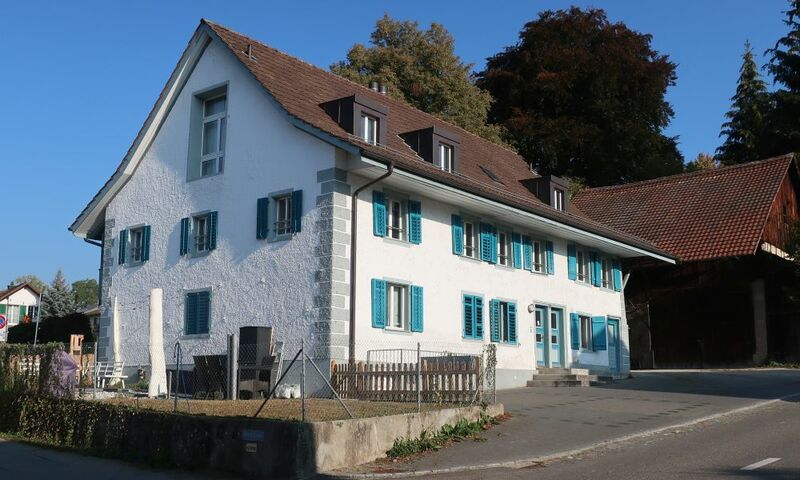 The village of Lengnau in Aargau, in North Central Switzerland, has many fine examples of historical buildings with this characteristic. 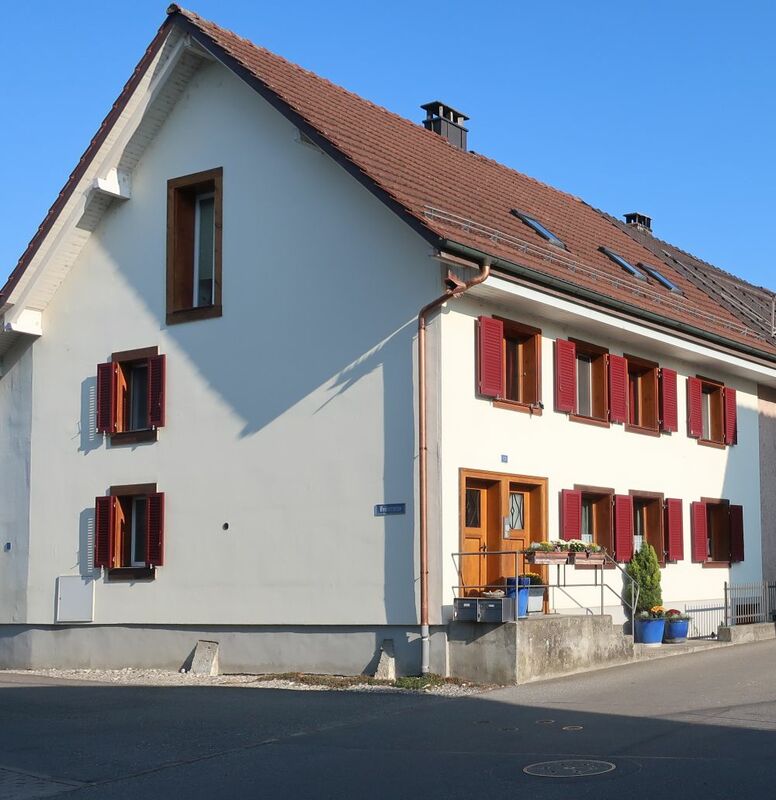 The town of Lengnau is filled with historical plaques that discuss legacy of the historical Jewish community in this area, and in fact there is a self-guided walking tour that leads visitors to important historical locations within the town.